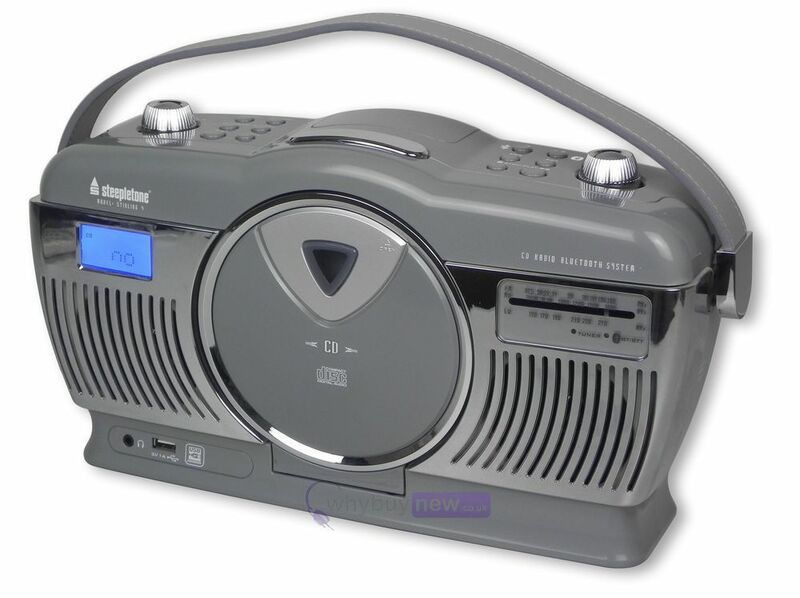 The Steepletone Stirling 4 (Grey) is a portable 3-band radio with Bluetooth, CD/MP3 player and retro styling. It features a durable ABS plastic cabinet with a sturdy vinyl carry handle and is battery or mains operated. As well as, a USB charging port for charging external audio devices such as smartphones. Whilst the styling evokes memories of a bygone era the features are up to the minute. Here we have the Steepletone Stirling 4 Portable Radio Grey in brand new condition and in B-Stock. The B-Stock versions would have been on display at a training evening or trade exhibition only and will come boxed in great cosmetic condition with the power lead and a 1-year warranty.